No application process is ever identical, but one guarantee is the time frame (2-3 Months). With the majority of roles requiring 1-3 Interviews, possible psychometric test (Online / In Person Meeting), as well as organising times / dates for candidates to meet with multiple decision makers, Reference Checks, Negotiations over Package and Notice Period. It is no surprise that from sending a CV to actually starting a new role can take a few months. In the recruitment business, there is really two periods at the Year-end and Year start that new roles come onto the market as well as Candidates look to make there move. If you want to make a career move for the new year I strongly suggest you contact me by the end of the months, as HR Teams across the country are starting their forward planning for 2018 in the next few weeks. 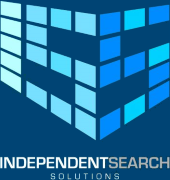 At Independent Search Solutions we source Sales and Engineering / Manufacturing Personnel in the Medical Device & Pharmaceutical Sector, so if you want to review all our live roles please visit our website and contact me directly with any quires you have.